good evening,im mae i am using this unit for 2 weeks and its my dads gifts,i have my question why i cannot connect for a wifi even if i am using the wifi settings?the connection of the wifi is invibile at the phone and i cannot recognize the wifi connection even if am in a wifi places even at home. talaha3a@hotmail.com, 23 Apr 2013I purchased a Dell Venue V03B in 2011. It was working fine. but now it has developped space ma... morethere's no need to tk it to a service centre. jst tka back-up and format ur phone. save ur contacts to ur google account. you'll jst lose ur msgs. Vivek, 02 Apr 2013I purchased a Dell Venue V03B in 2011. It was working fine. but now it has developped space ma... morehai dell,i want ask about the up-date may dell venue,from froyo to gingerbread?where are if i want to update my venue in indonesia?thanks? 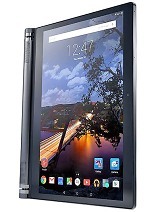 I bought a new dell venue and ever since..i have not been able to use it. It cannot switch on and keeps on rebooting. i have regreted buying a dell phone. Will this phone work on straighttalk? friends, now which is the android version for this phone ? I need to buy this mobile. I am in India, Where I can buy this mobile in India????? My Dell venue can't recieved any bluetooth file and sometimes the network signal falls down. What should i do? do i need to bring the unit to the business center of dell or should i click the factory reset? it is a great phone. i am using since six month. the clarity is superb & has gorella screen which makes it best among all. i think its among the best only issue is it did not advertise much and no one knows about it. great phone to have.